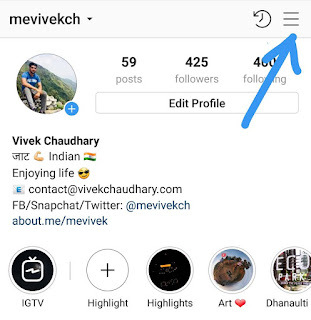 Instagram has rolled out a new feature which allows you to see the active status or last seen of the users in your chat. When you chat with someone, the other person can also see if you are online or when you were last active. Similarly, when you see someone's story on Instagram, the person can see your active status in the story analytics. Instagram will show a small green dot icon on your profile picture which means that you are online right now. Sometimes you don't want to show your active status or last seen to other people due to some privacy reasons. 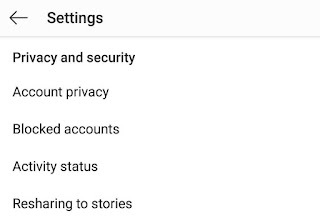 Fortunately, you can turn off this activity status feature in your Instagram account settings. That's what we are going to discuss in this tutorial. First, open Instagram app and go to your profile. Now tap menu button (three-dots at the top right corner of the screen) and click "Settings". Scroll down and click "Activity status" option under Privacy and security section. Now turn off the "Show activity status" button. That's it. When you turn off the activity status feature, other people won't be able to find out when you were last active on Instagram. However, they can still see your activities (such as what you liked & commented on and when) in their following tab. The only drawback of turning off this feature is, you also won't be able to see other user's active status and last seen on Instagram. 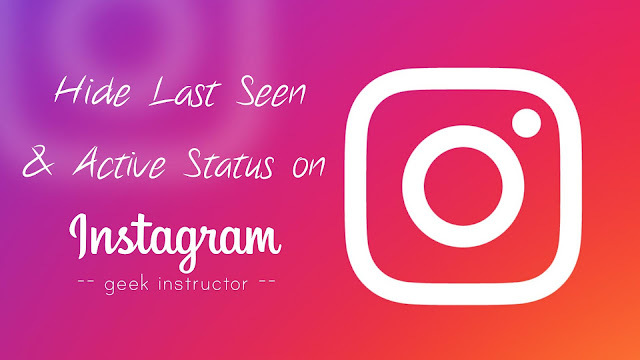 We hope you find this guide helpful to hide your online status and last seen on Instagram. If you want to ask something, you can share it in the comment section.